Electing a leader for the new front which is to be created by the joint opposition, has been one of the main topics of political discussions recently, the sources said. Former President Mahinda Rajapaksa’s name has been considered to the position, said the sources. 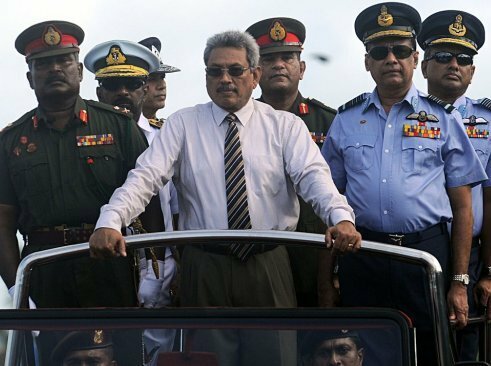 If the request is rejected by Rajapaksa, the Former Defence Secretary Gotabaya Rajapaksa will be nominated for the leadership. Leaders of the joint opposition have stated that majority of public would only assist the two Rajapaksa brothers, pointing out that most of the people are fascinated by them. Therefore, the attention has been given to build a new political force against the government, associated with two Rajapaksas. It is reported that discussions have been held to give Rajapaksas more opportunities to interact with the public. 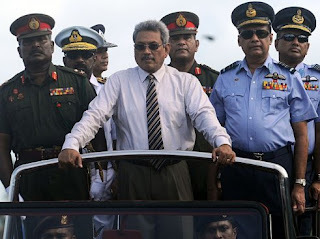 Former President and Former Defence Secretary have joined the ongoing negotiations with the joint opposition, combined with several members of the Sri Lanka Freedom Party, National Freedom Front, Piwithuru Hela Urumaya, Democratic Left Front, the Lanka Sama Samaja Party and Sri Lanka Communist Party. ‘New Sri Lanka Freedom Front’ is reported to be the suggested name for the new party.